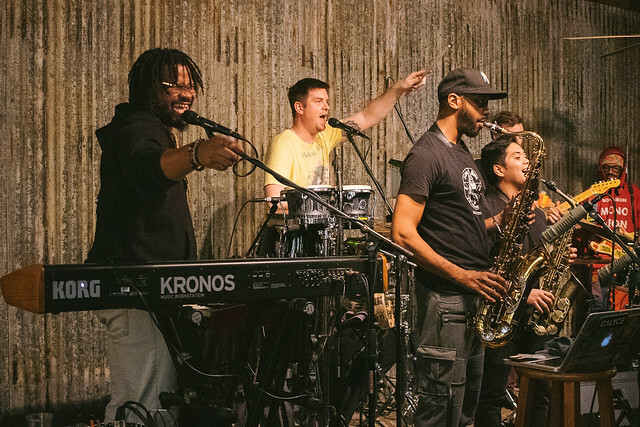 Ghost Note Bring Blessings of Groove Reviewed by Joshua Gooch on March 28, 2019 . 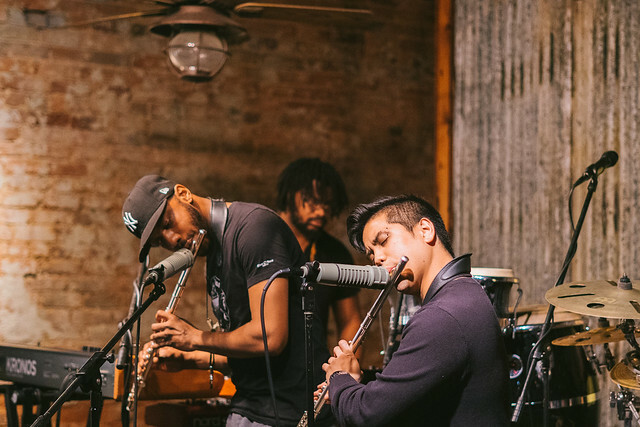 If you frequent Shutter 16 Magazine then you likely saw us highlight a “band to watch” in anticipation of Ghost Note heading in to North Carolina for a string of dates across the state last week. 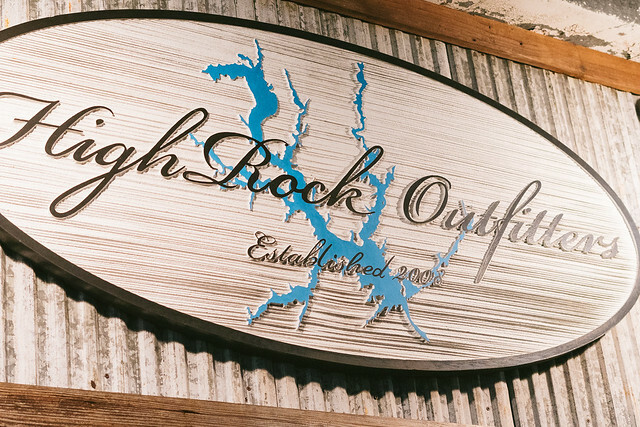 I caught up with the band to catch their show on the last night of their NC run at High Rock Outfitters in Lexington, NC. Additionally, this stop found the band wrapping up the first leg of their Smack Em Tour and on the last night of four in North Carolina. 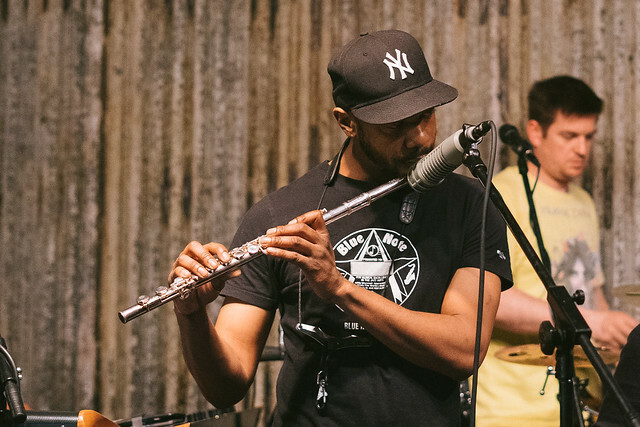 So, you could be forgiven for thinking that this Ghost Note performance would show some signs of fatigue. However, you would be mistaken. On a nice spring Sunday evening the guys showed up in full strength and jammed out with a packed house. Initially billed to include an opening act this night found just Ghost Note as the sole performers. With no opener the evening started just a bit later than advertised but also afforded Ghost Note the chance to hop on stage just a bit earlier seeing as how the room was full in anticipation of their set. 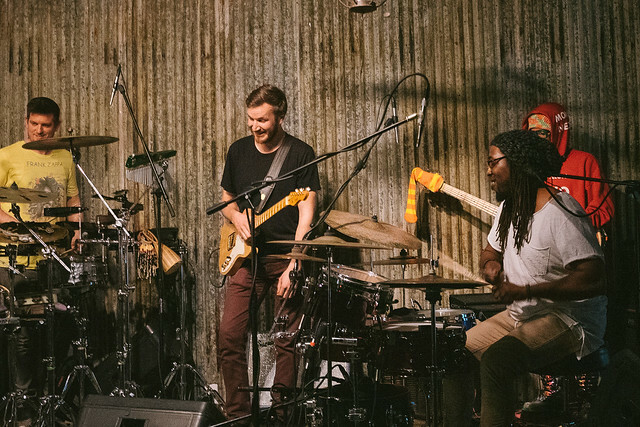 With no introduction the band took the stage grabbed their instruments and with quick glances jumped right into an incredibly tight set of jams that ranged from funk, to afro-beat, to hip-hop, and just jamming all around. 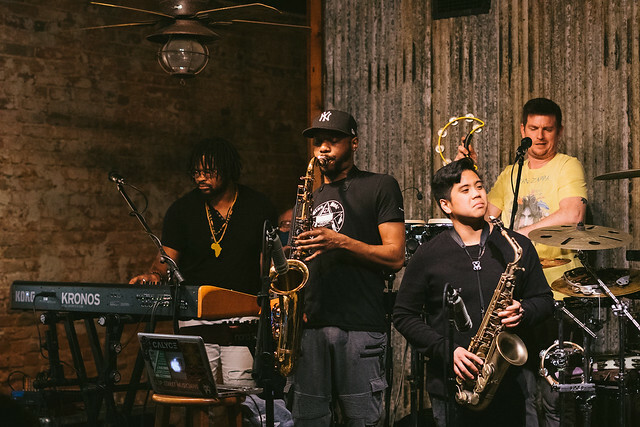 The band played through their first set and immediately showcased the talent evident within with precision and collaboration across each member. It was a delight to watch the members look to each other for cues and just feed off the energy each was delivering in their own way. Playing through the first set the band mostly let the music speak for itself and took a short intermission before returning for a second set. After returning from a brief intermission the band once again jumped right back in to the music but for the second set brought a more looser vibe. 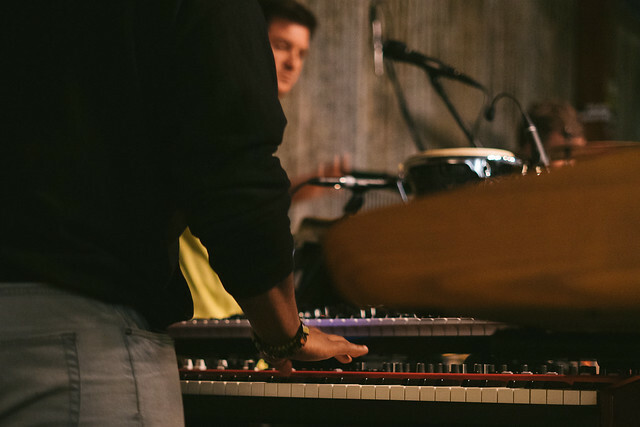 Seemingly “feeling the groove” a bit more the second set brought a new air of fun into the room as the band members continued to jam off of one another. It was really fun watching the enthusiasm shown from one member to the next demonstrating genuine excitement to see their partner take a jam to the next level. 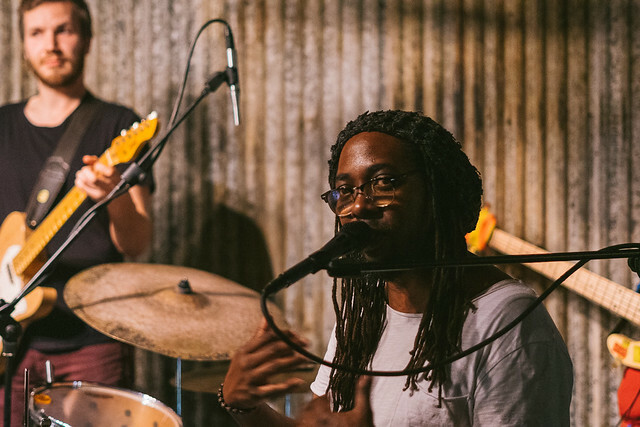 The excitement continued as Ghost Note co-founder and drummer Robert “Sput” Searight welcomed their friend Charlie Hunter, a mega talented musician in his own right, to the stage to jam with them as they built a groove from the ground up. 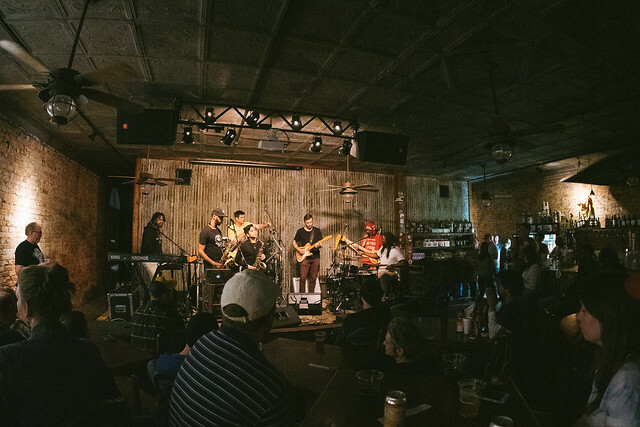 The second set continued with an abundance of jams and included a somber moment of dedication to Kofi Burbridge whom had local ties as a graduate from the NC School of the Arts and passed away just a few months ago. Concluding the night with more audience participation the band took it up one more notch and got the crowd involved through inviting some dancing a little more closer to the stage as they finished up with a bang musically speaking. 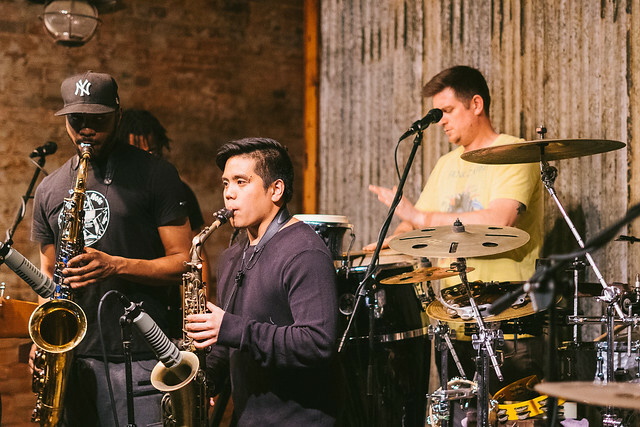 As a fan a Ghost Note set contains so many layers, from awe in their precision, to admiration of the fun they are having on stage, to the uncontrollable need to move with with the groove. It really was a fun evening and I genuinely look forward to what is next for the band and the possibility of catching them live again in the future. 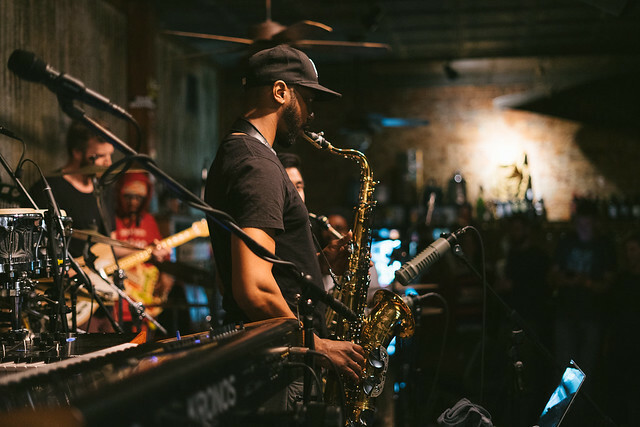 If you are looking to catch a live set from Ghost Note then you are in luck. With a short rest the band will resume the “Smack Em Tour” in April and continue throughout the summer on tour and with festival stops. Check out the full list of stops below.